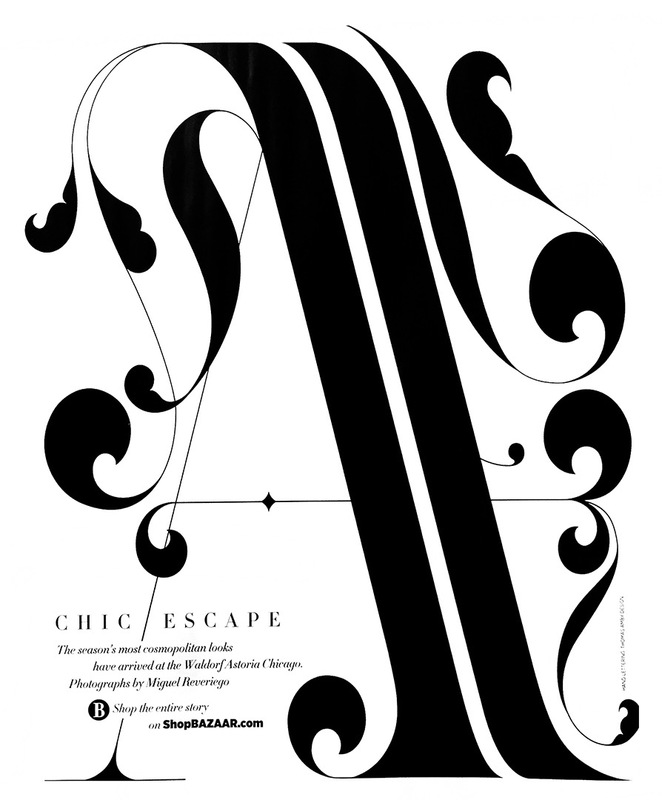 Love this type solution from a “Harpers Bazaar” layout. Typography is a valuable & necessary skill to have in the design world. Typography can be used for a minimal and bold statement piece like a poster and opening of a layout or an all encompassing solution that carries throughout an entire system. If one is able to master it well, beautiful results will occur!